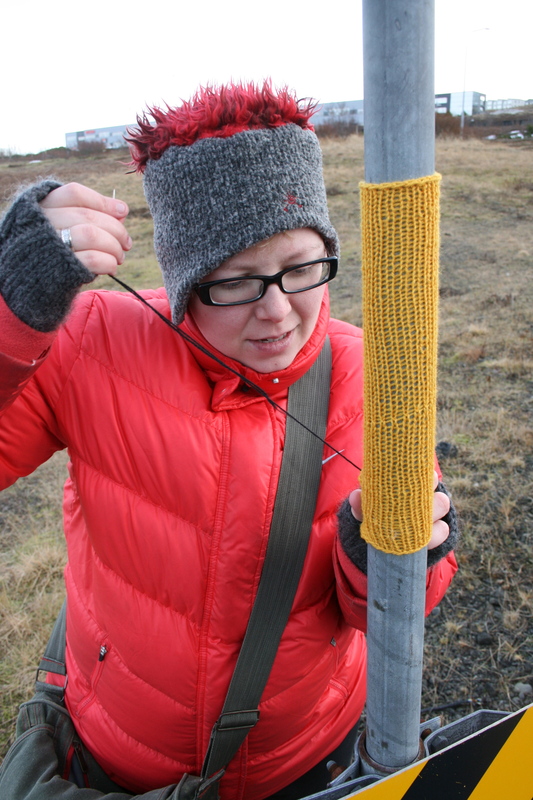 I wanted to yarnstorm but I didn’t know where. So I told my husband we were going for a drive. 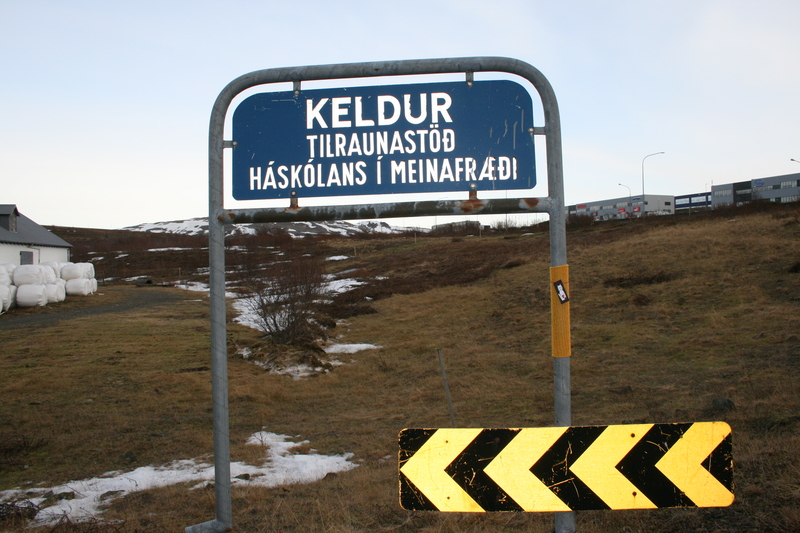 We ended up at Keldur – Institute for Experimental Pathology, University of Iceland. And I made it a little furrier. And warmer. 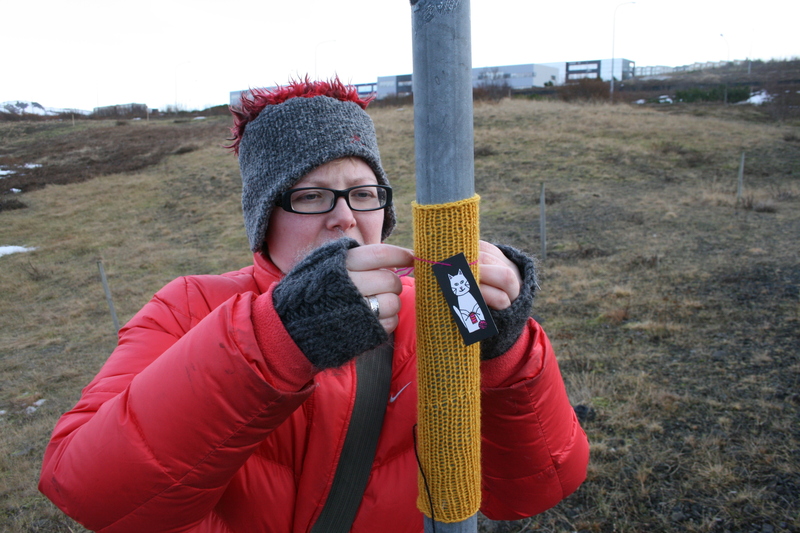 Almost there… thank Odinn for the mitts! Thank you Anne for this great design and thanks Sarah for the help! 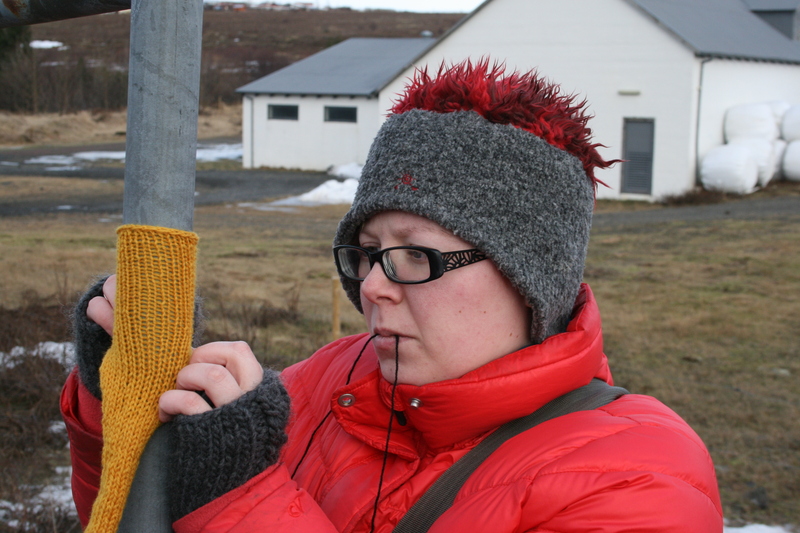 U will conquer the world ~ one skein at a time. Love the logo!